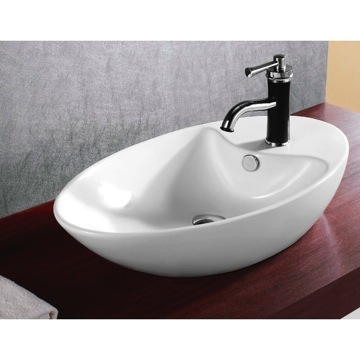 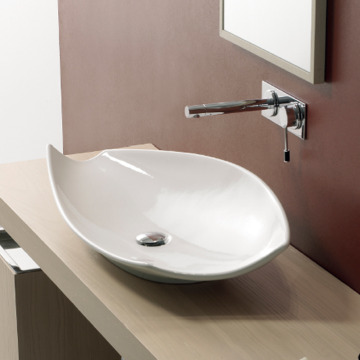 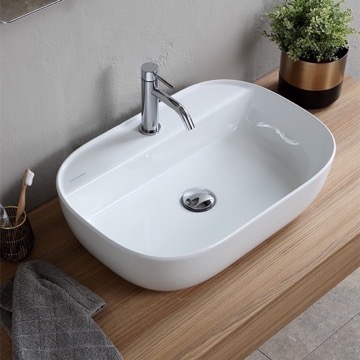 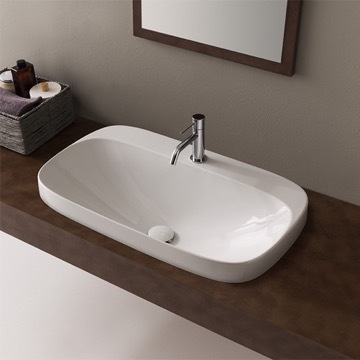 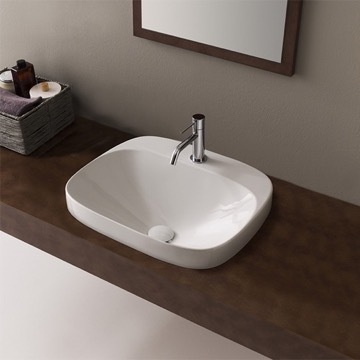 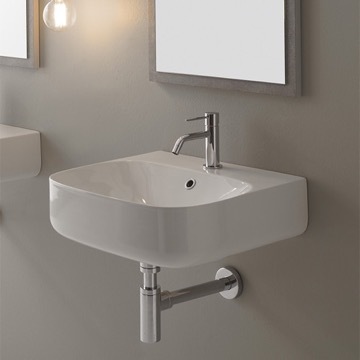 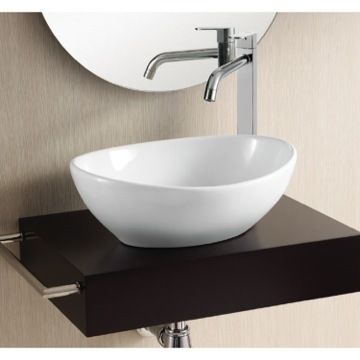 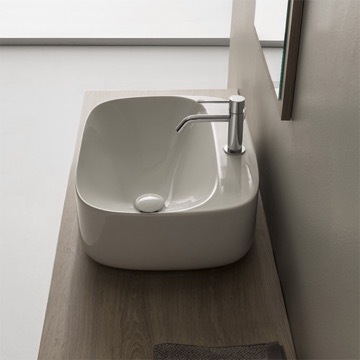 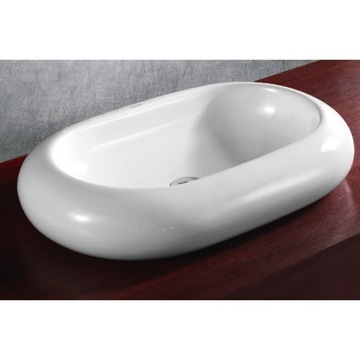 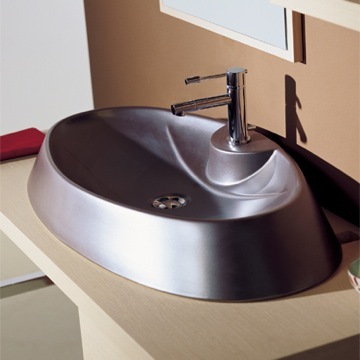 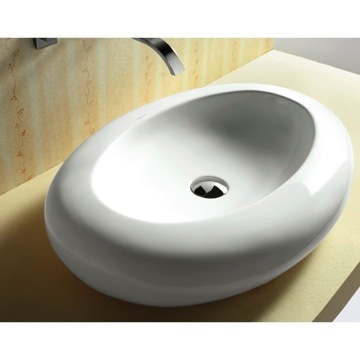 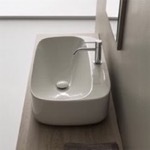 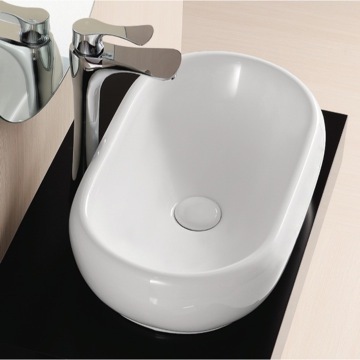 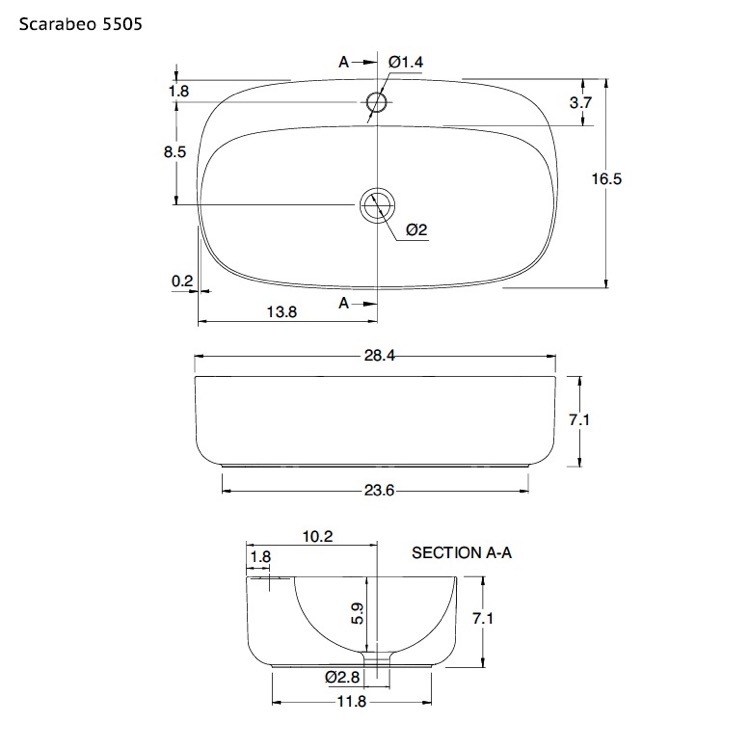 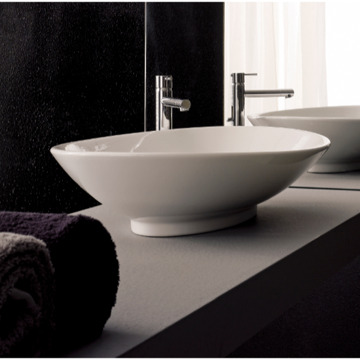 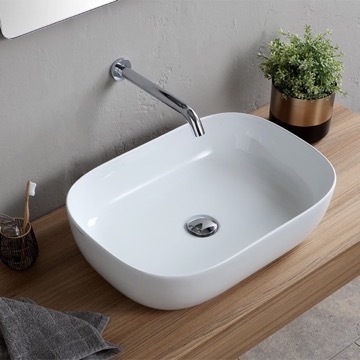 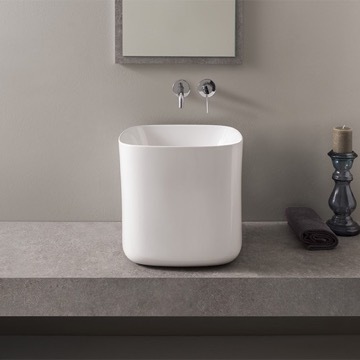 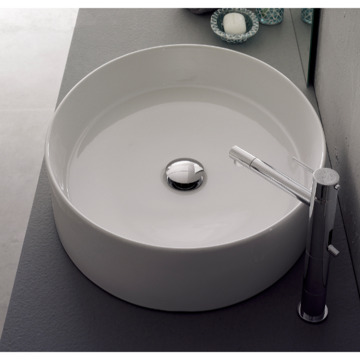 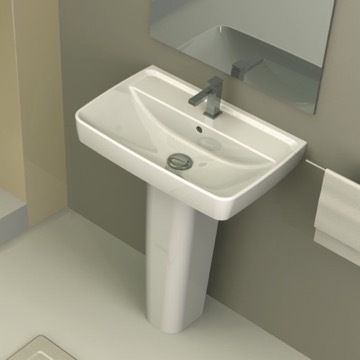 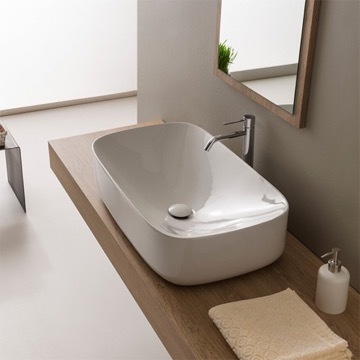 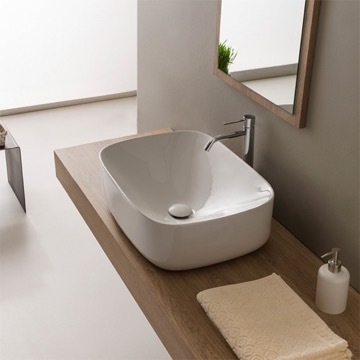 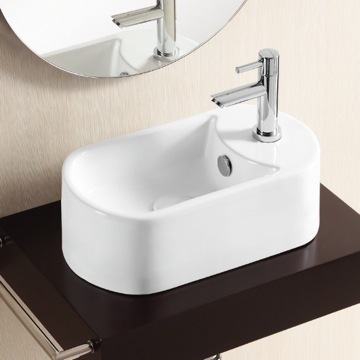 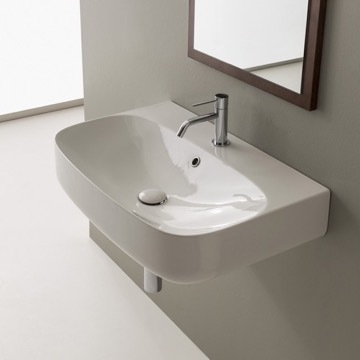 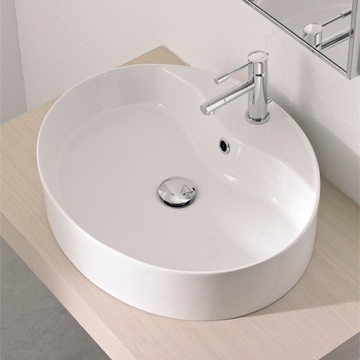 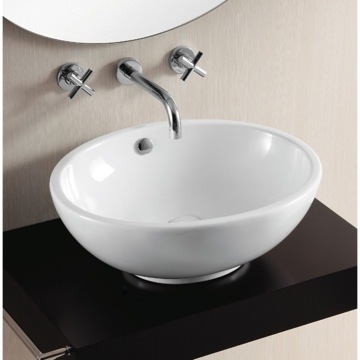 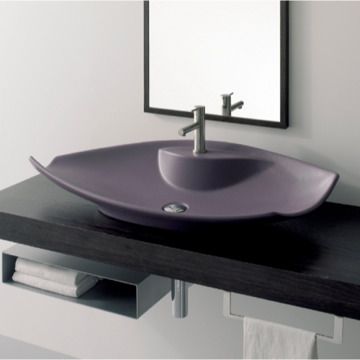 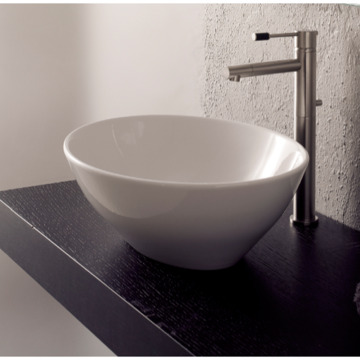 Made out of high quality ceramic, this beautiful vessel bathroom sink comes in a striking oval shape. 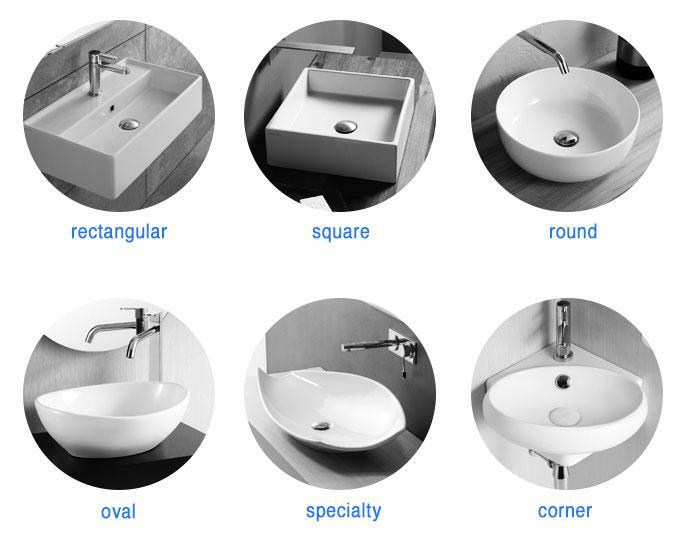 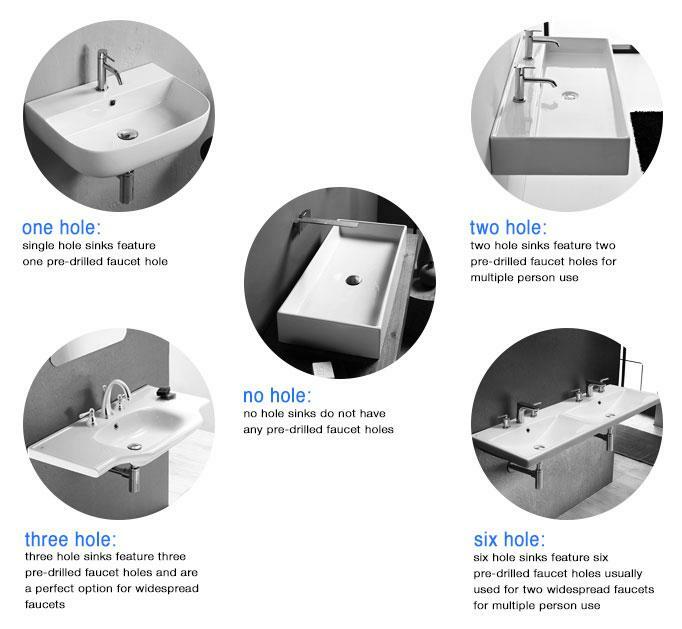 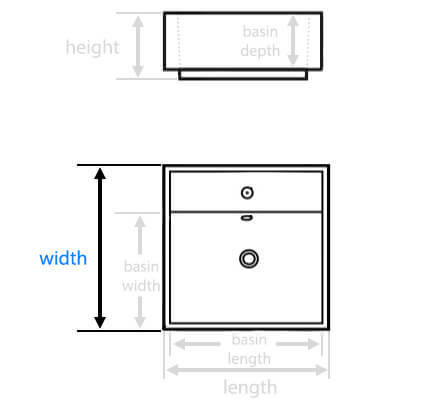 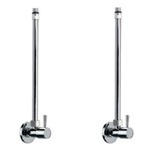 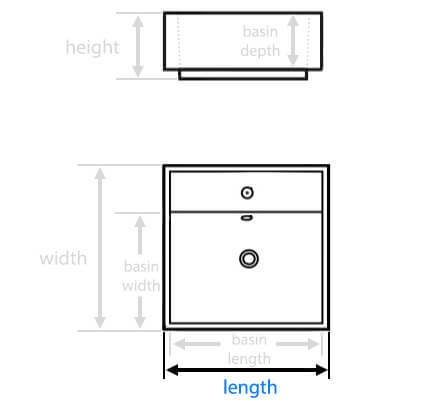 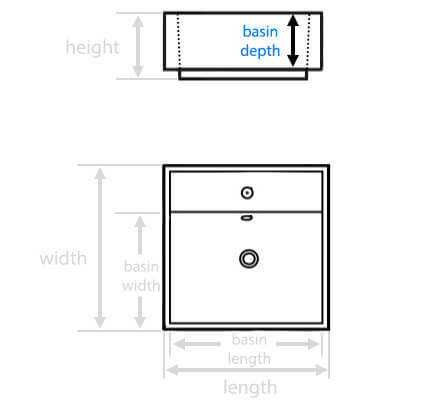 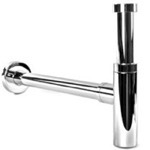 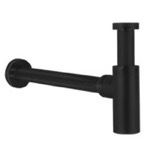 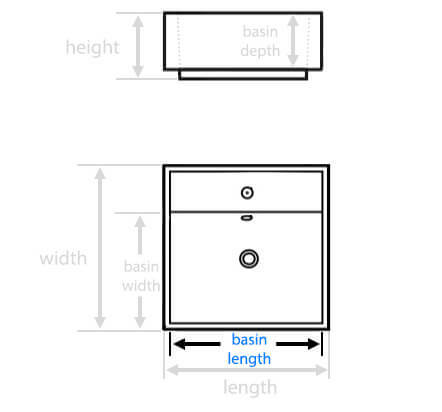 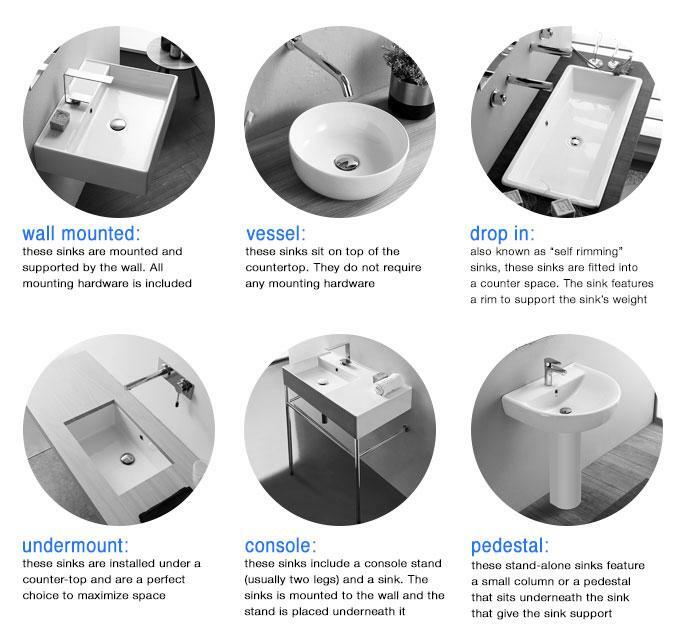 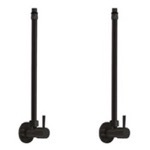 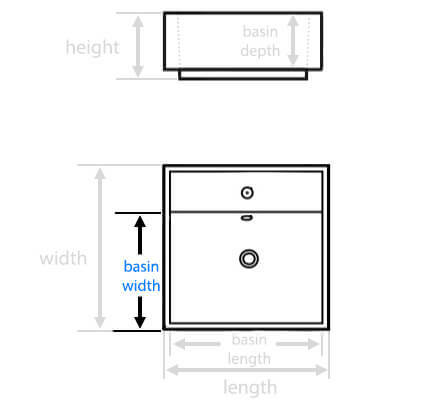 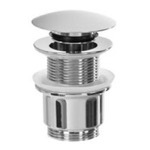 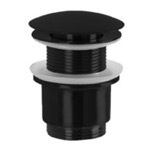 Its modern style included one hole, and is the perfect addition to your bathroom. 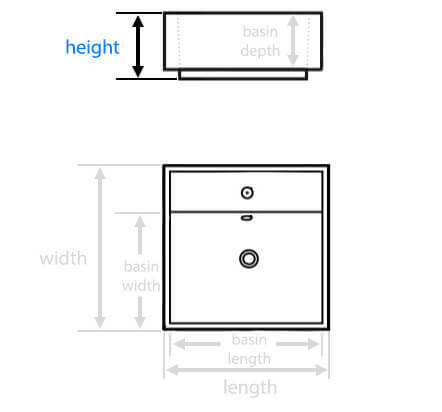 Good online detail about the item so there were no surprises. 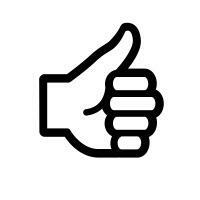 Packing for shipment was excellent.